Identification: Upperside of male coppery brown with red-orange sheen; females brown to orange. Underside yellow or cream with a pink-purple tinge toward the outer edge. Wing Span: 1 - 1 3/8 inches (2.5 - 3.5 cm). Life History: Males perch in hollows in open areas to watch for females. 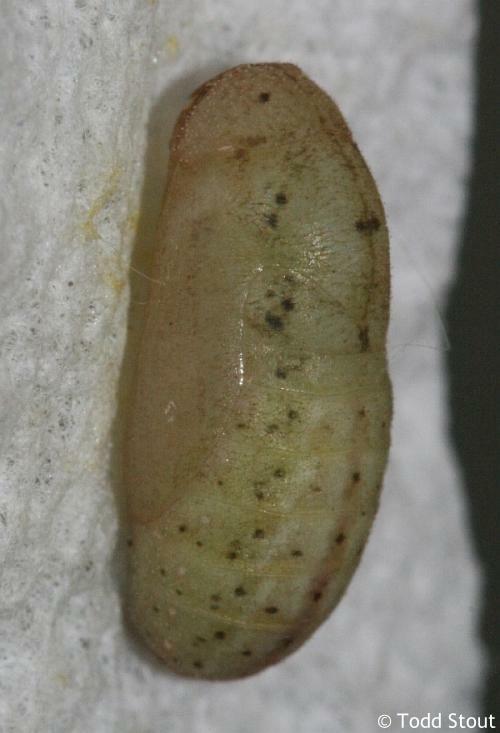 Eggs are laid singly on or near base of host plant; hibernate until the next spring. 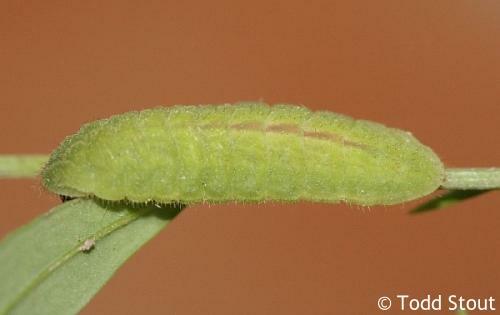 Caterpillars feed on leaves. Caterpillar Hosts: Douglas\' knotweed (Polygonum douglasii) in the buckwheat family (Polygonaceae). 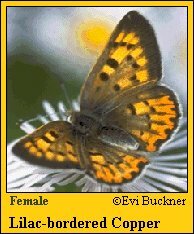 Habitat: Open forest, sagebrush hillsides near streams, rocky valley floors. Range: British Columbia south and east to central California, Wyoming, and Colorado.